Science students are always busy on campus. 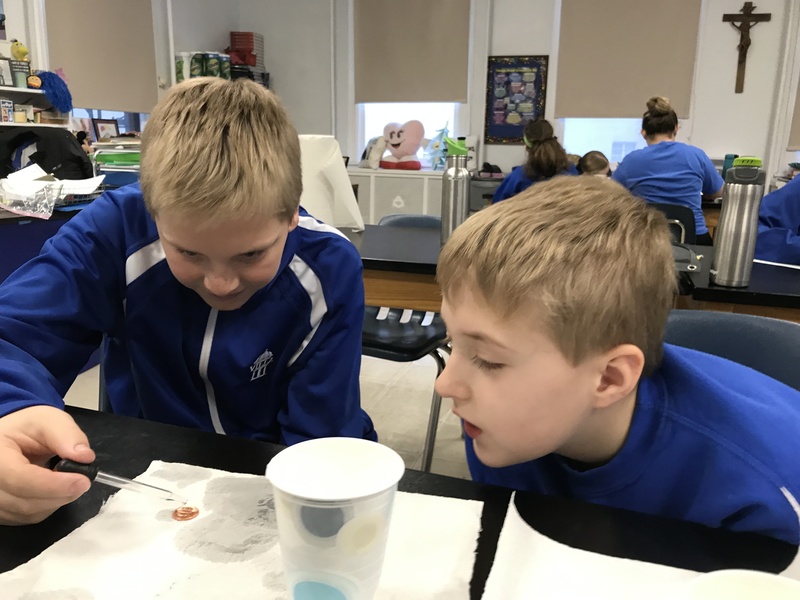 From kindergarten to twelfth grade, there is always something interesting happening in a science class somewhere at Villa Madonna Academy. Many science classes include a hands-on element to make lessons more impactful. STEM (Science, Technology, Engineering, and Math) education teaches much more than the basics of those subject areas. Research shows that STEM promotes critical thinking skills, encourages teamwork, and boosts creativity and innovation. Those are skills students need no matter their career path. In high school and junior high, students have opportunities to participate in hands-on labs; computer classes; and, college preparatory math, science, and pre-engineering. They are also able to use the Makers Space. In the elementary school, there is a Fab Lab. Here, students use robotics, computers, coding, and building materials as an extension of their core curriculum.